Start by producing enough foam to apply to your skin. Do this by splashing water on your hands and face. Then take the soap between your hands and rub for about 4-5 seconds until you have some foam on your hands. Set the ball down and continue to rub your palms together until a nice, creamy foam has been worked up. Then apply the foam to your face and leave on for about two minutes. Rinse thoroughly with warm water and pat dry. Simple. 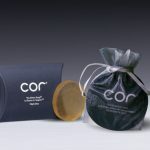 You can leave Cor on your face while you are brushing your teeth or are washing the rest of your body or hair in the shower. A few additional tips can help you get the best results. For exfoliation of old skin cells, when the skin is still slightly damp, gently remove old and dry skin by rubbing in a circular motion with your fingertips. You may feel a slight tingling sensation while the foam is on your face or find that your skin becomes a little tight feeling during the first days of use. Don’t worry, this is normal. It isn’t drying – the nourishing and moisturising ingredients such as Hyaluronic Acid, Aloe, Avocado, Jojoba and Sericin are working to hydrate your skin. 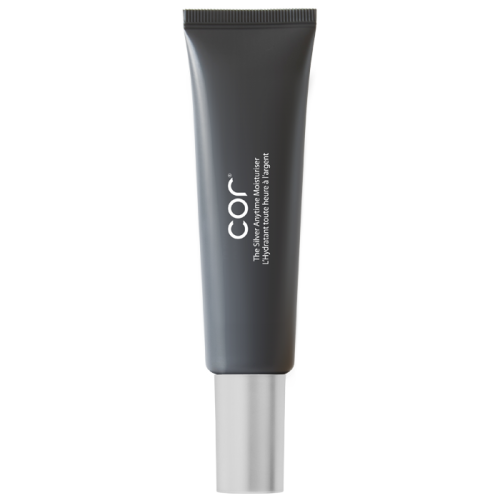 Cor is a very deep cleanser due to the use of patented delivery system and so it may be that your skin needs time to adjust. (You can read more about our natural ingredients and patented delivery system on The Science of Cor page. Men can use the foam from the soap as their shaving foam. Leave the foam on for approximately two minutes and then shave as you normally would. The silver and other nourishing ingredients will help reduce razor burn, ingrown hairs, and the redness that many men experience with their shaving routines. The foam can also be used as a spot treatment for stubborn blemishes. Simply take a little left-over foam after you have washed and apply directly to the affected area and leave it on overnight. 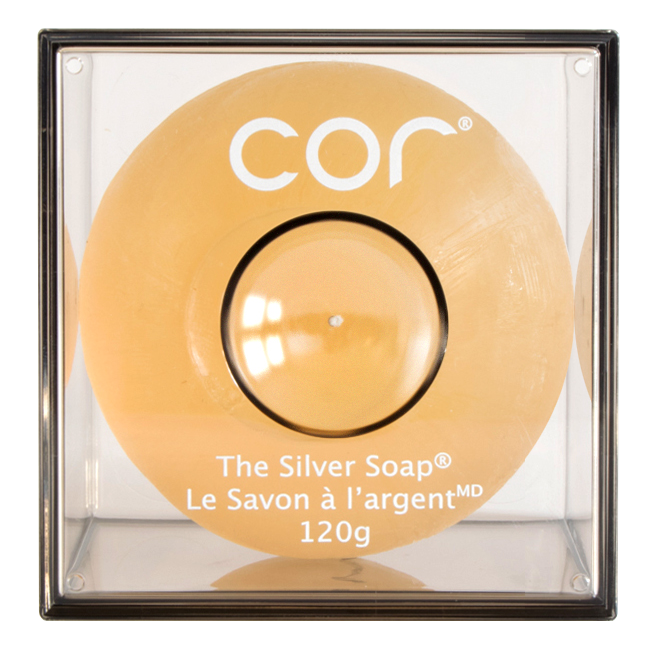 Those customers who experience back or chest acne have also achieved great results by using Cor as a body soap. Please don’t overuse Cor, though! Many customers report that they received such great results after the first day of use that they became excited and started washing three or more times a day, or that they would leave the foam on for more than four minutes – and then they had a skin reaction, as you might expect with over-use of any product. We have designed Cor to be simple in use, and so more is not necessarily better. We recommend not leaving the foam on for more than four minutes (except for the spot treatment method described above) and not using more than twice a day. What else will you need after you wash with the soap? 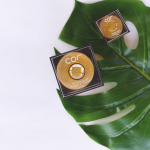 Cor soap is a multi-tasker – you can clean, exfoliate, and hydrate with Cor – so you do not need to use an additional exfoliator or a toner. In fact, DON’T use a toner. 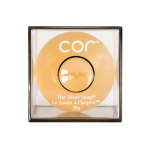 If you do, you will not get the full benefit of The Silver Soap, as the toner will strip away the lovely sericin protective barrier. 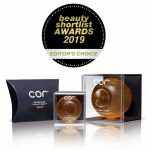 So, after rinsing the foam off and patting dry the skin, use one pump action of either the Cor moisturiser or the serum and apply all over your face. Given the lightweight texture, you will find that one pump will smooth nicely across the entire face. Use one pump action of the eye cream and gently dab that around the delicate eye area. You might also want to use the eye cream on the fine lines around the lip area and even the deep furrows that some people develop between the eye brows. If you are using both the moisturiser and the serum, layer the serum on top of the moisturiser. That way you will have a beautiful, silky foundation primer and you will be locking in the moisturiser. If you live in a humid climate, you may want to just use the serum alone (without the moisturiser) for its hydrating benefits and matte, refreshing feel.